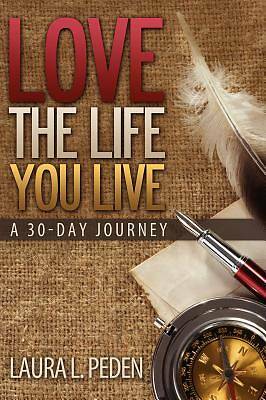 ABOUT THE BOOK: Love the Life You Live, a 30-Day Journey, is much more than just a "how-to" book. It is a six-step, 30-day program designed to help people get to a point where they can endure with peace the hard times in life and embrace with joy all the good that comes their way. Do you want to put your life in order the way Jesus commanded? Do you simply want to put the pieces of your life back together again? Do you want to get to a point where you can help those around you? Or do you want a discipleship program that will help you and those around you dig deeper into the Word of God? Written with several purposes in mind, this book can be used as a Bible study or as a biblical counseling tool. Whether you are a housewife, a businessman, or even a full-time minister, this is the book for you **** ABOUT THE AUTHOR: Laura Peden is a graduate of Liberty Baptist Theological Seminary with an MA in Pastoral Counseling; a Biblical Counselor specializing in child and family counseling; is certified in Child Advocacy and serves as a Coordinator with Child Evangelism Fellowship, Inc.